Morning soon arrived. One by one, people preparing themselves to start the new day. However, bustle that took place did not necessarily break the concentration of some people who are diligent remembrance at a mosque in the outer region of Aljier City, the capital of Algeria. There were about 60 people involved in that activity. By sitting cross-legged in a circle while they solemnly intoned Tasbih, Takbir, Tahlil, Tahmid, and blesses the Prophet, serve God and His Messenger. They are members of an assembly of remembrance. And just like in Indonesia, the number of assemblies of remembrance in this North African country continued to grow from time to time. One thing is important, it is worth to note, the Assembly of remembrance in the Algerian adopted most of Sufism or Tasawuf. The development is inseparable from the role of government. They want to encourage religious activity as a priority program, especially in order to spread the Sufi teachings. The question is, what is the urgency of the policy? As is known, this country has long conflict involving government forces with Islamic groups, and has caused huge losses of spirit and possessions. After going through security approach; raids, detention, and even gunfire, which proved does not give good results, the Algerian government to try a new effort to stop the conflict. Encouraging the spirit of religion among the public, is now the 'guns' of the government. Incessantly, Sufism has been echoed throughout the country. Sufism is considered as an appropriate solution to overcome the turmoil and at the same time raise awareness of the importance of peace and togetherness. Several steps unfold immediately. Among other things, the existence of television and radio programs to disseminate Sufism. 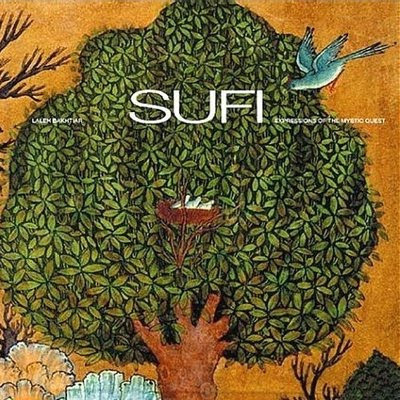 A number of influential religious figures involved to introduce and provide an understanding of these related to Sufism. These activities of course are in control of the Government. Basically, Sufism or Tasawuf can be found in almost all Muslim-majority country in the world. Sufi followers will come first of worship to draw closer to God, whether through recitation, remembrance, and other worships. They usually choose to distance themselves from political life. On the other hand, the Salafi teachings also shared by members of the insurgents who want to change the conditions in the country according to Islamic values. Salafi who was developed the first time in Saudi Arabia is a movement to understand the political Islamism that takes understanding of the ancestors (Salaf) of the patristic period of early Islam as a basic of understanding. Based on that, Salafi ideology trying to revive the practice of Islam as practiced at the time of the Prophet Muhammad S.A.W. They did not want innovations that have been made and will be added in the socio-religious life of Muslims. However, in Algeria, Sufi has not practiced widely. One of the reason is because most of the mosques is more likely to follow the Salafi movement. How many followers of the Sufism in Algeria, not known for certain. However, according to George Joffe, a researcher at the research department of the Center of International Study, University of Cambridge, currently estimated there are about one to 1.5 million followers of the Sufi of the total population of 34 million inhabitants. Government officials believe, Sufism can create a permanent peace in Algeria. Mohamed Idir Mechnane, an official at the ministry of religious, said they worked hard to popularize the traditional teachings of Islam that emphasizes tolerance, peace, and openness. 'And Alhamdulillah (Thank God), more and more members of the public who understand and are willing to follow the Sufi teachings,' he said, quoted by Reuters news agency. For the success of this program, the government provides a broader role in society to the followers of the Sufi. For instance, organizing events like weddings, helping orphans, teach reading and writing the Al Qur'an, as well as fund for the poor. 'For more than 14 centuries, Islam has been present in this country,' said Hadj Lakhdar Ghania, one member of the Assembly of remembrance, Tidjania Zaouia. 'We're used to living in harmony and peace.' 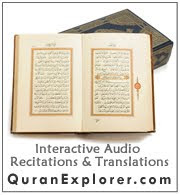 However, he continued, when the followers of Salafi said to the Algerian to practice Islam as they practiced, then began to arise differences of opinion. How to spread the Sufi teachings actually not a new idea. Since 2007, a study from the Rand Corporation says that Sufism proved to be very effective to promote moderate Islam. 'Traditionalist and Sufism in Islam are an integral part, given the many similarities between the two,''the study said. The Salafi followers react immediately. They can not accept some Sufi ritual practices, such as pilgrimages to the tomb of the clergy. Instead, they assess that the Salafi doctrine is the only one should be applied. 'The Salafi is very important to counter thought and worship that deviate from Islamic values. We encourage the younger generation to follow the true teachings of Islam and not affected by the Western lifestyle,' said Sheikh Abdel Fatah, one of the prominent Salafi figures. But, why then Salafi usually associated with violent? Sheikh Abdel Fatah denies. He argues, in any countries, salafi teachings always practiced in peace. To prove his statement, Sheikh Abdel Fatah requested that the public back to the year 2001. At that time, after 11 September 2001 incident, a number of Salafi scholars are immediately condemned the violence. Similarly, other Salafi clerics who now live in Saudi Arabia, Abdelmalek Ramdani, called on followers to avoid violence and hostility. Other ideas put forward by Mouloudi Mohamed, a local Muslim scholar. He believes, the best effort to stop the violence is by returning to traditional practices of Islam that has taken place in a civilized country since centuries ago. 'I'm not sure we need to 'import' solutions from abroad, but it would be better if we start practicing Islam as a father and grandfather had done first,' he stated.